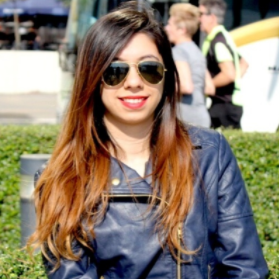 Suhana Khan's New BFF Is So Cute! Can You Guess Who He Is? Suhana Khan is a trendsetter in her own right. Shah Rukh Khan's daughter is already a celebrity and has too many fan pages dedicated to her on social media. The paparazzi love her and follow her every time she steps out. The star kid is enjoying her time with family and friends these days. Her fan page shared a picture of her with her BFF on Instagram, and guess what? It's neither Shanaya Kapoor nor Ananya Panday. Her new buddy in B-town is Agastya Nanda! 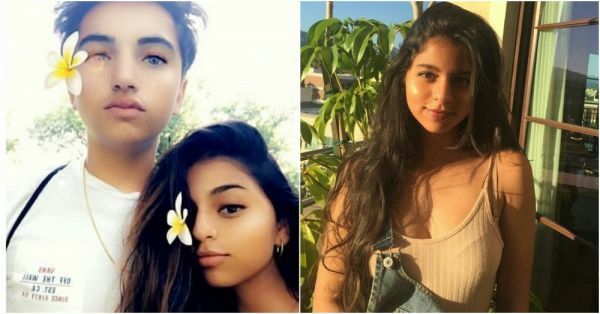 Amitabh Bachchan's grandson and SRK's daughter are the new besties in town giving us BFF goals. Agastya is Shweta Bachchan Nanda's son, Navya Naveli Nanda's younger brother. In the picture, the two are all smiles for their front camera, sporting Snapchat filters. Agastya is seen wearing a white tee while Suhana is a glam doll in a tube top. Not only the younger siblings but the elder ones, Aryan Khan and Navya Naveli Nanda too are really good friends. And this picture is proof. Shah Rukh Khan and Amitabh Bachchan share a mutual admiration for each other. Looks like their families too are bonding, following their lead.